Some ethanol industry leaders are growing concerned the federal government shutdown could delay implementation of a rule change to allow year-round sales of E15. The Environmental Protection Agency announced last year it would have the rule ready for release in February and approve it in time for summer sales of E15. 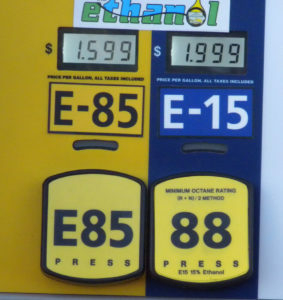 Current Clean Air Act rules prevent the sale of E15 in much of the country from June 1 to September 15. Cooper told Brownfield Ag News he’s still confident the EPA will clear the way for year-round E15 sales before June. “We’re hopeful that EPA can very quickly get this proposed rule out for public comment and, most importantly, have it finalized by the end of May so that when we get to the summer driving season, retailers can continue to sell E15,” Cooper said. In October, President Trump traveled to Council Bluffs to announce he directed the EPA to make E15 available all year. Iowa is the nation’s top producer of ethanol, creating roughly 30-percent of the corn-based fuel additive used in the U.S.